The next device we’ll look at is the Desire HD. 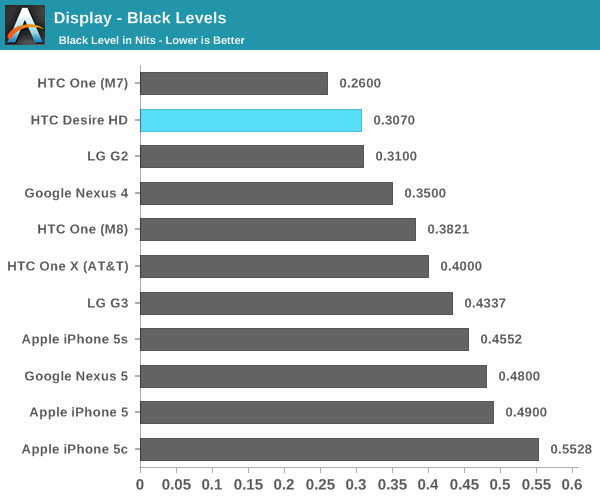 LCD has always been more mature than AMOLED, so it would make sense for the improvement over the past four years to be much less. 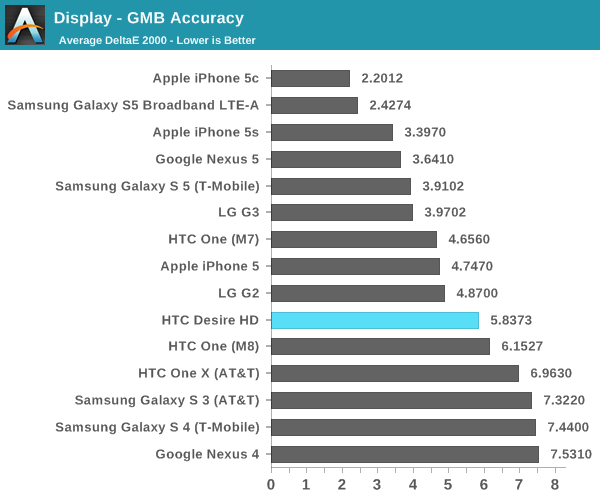 However, it seems that the Desire HD’s display is a far cry from today’s smartphone displays. While not as grating as the effects of PenTile on the Galaxy S, the low resolution is still quite obvious on this display. Careful examination shows quite a bit of aliasing, but from a distance it isn’t too obvious. The other issue here is the viewing angle stability. Much like the Xperia Z1s, the display rapidly washes out towards homogenous white with increasingly extreme viewing angles. This is likely due to the same *VA display technology used in both, although that’s about where the similarities end. There’s also no display lamination so reflectance is quite high, subjectively speaking. 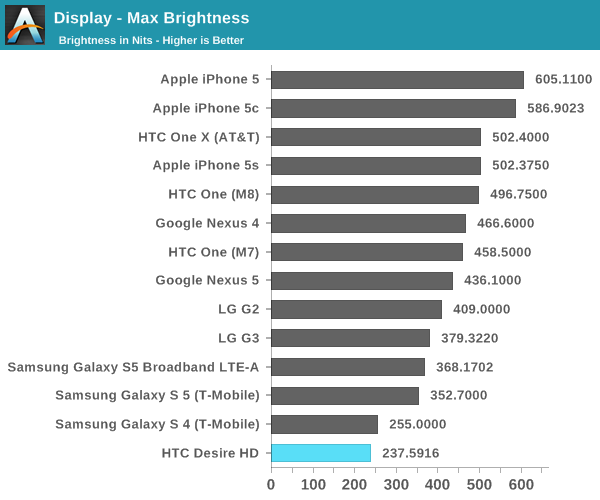 As seen by the brightness graph, the Desire HD’s display is incredibly dim. I suspect this was done to try and keep battery life in check as the Desire HD was rather notorious for poor battery life. Contrast is also rather dismal, but I suspect this is partially due to the lack of dynamic contrast or similar mechanisms to artificially boost contrast values. The low brightness may also be due to the sheer age of the device. 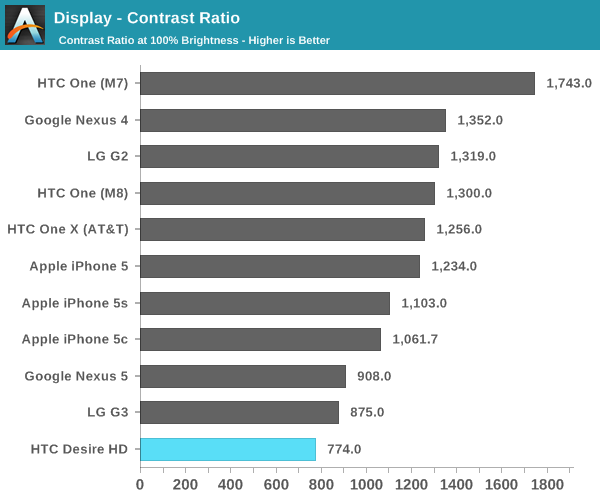 In grayscale, the Desire HD is also rather poor. Although things aren’t quite as bad as the Galaxy S, they aren’t very good either. 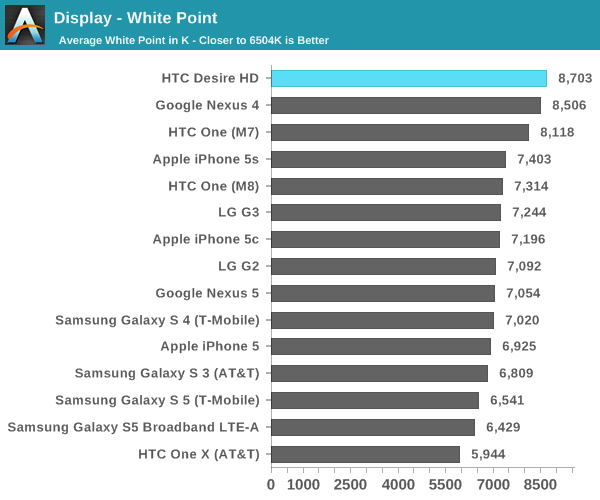 I suspect that the excessive green/blue in these devices was a method of boosting peak brightness, although by the Sensation it seems that HTC had clamped down white point to some extent. 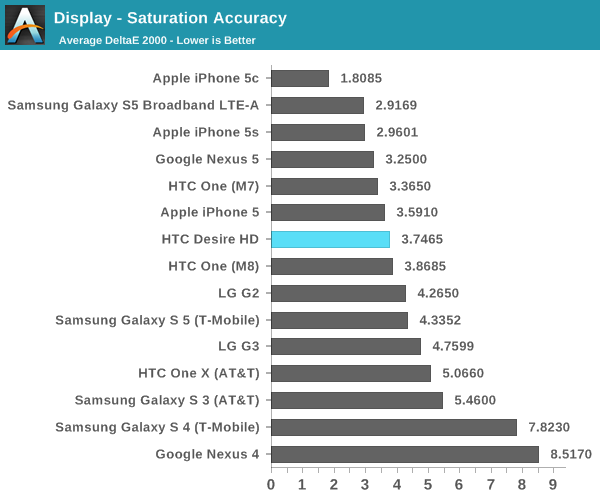 In the saturation sweep, the Desire HD is eerily reminiscent of the One (M8), although this is mostly due to the rather extreme blues produced. The display exceeds sRGB by a certain amount in every sweep, and while the error here is relatively low, such error tends to magnify a great deal in the ColorChecker test. It turns out that this is exactly what happens. Relatively acceptable error does become unacceptable in the ColorChecker. 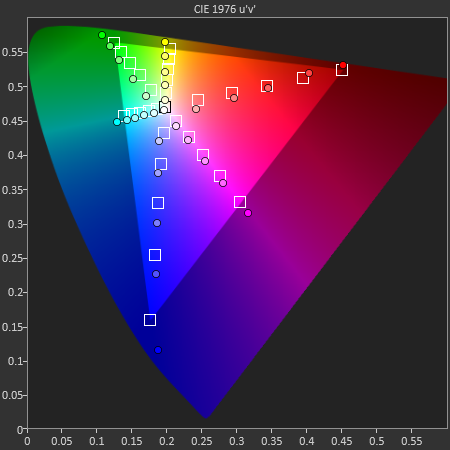 In reality this display is likely to be inaccurate for any color-sensitive use case, and color reproduction is unlikely to be close to the original image. It’s definitely better than the Galaxy S for color accuracy though.